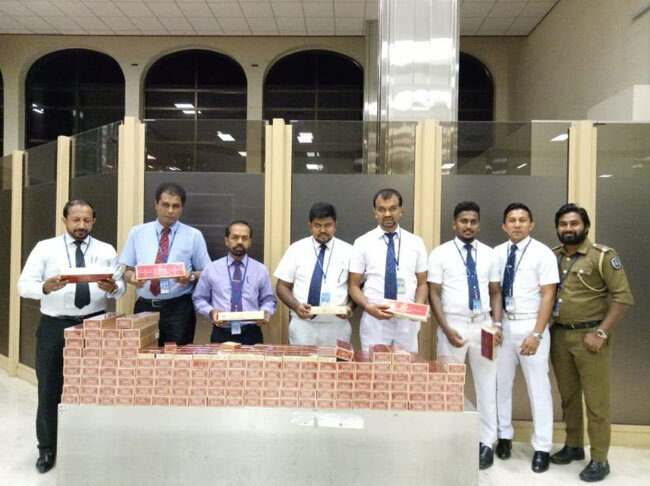 Five Sri Lankan businessmen have been arrested by Customs officials attached to the Bandaranaike International Airport (BIA) early this morning (10) over an attempt to smuggle in foreign-manufactured cigarettes. The three males among the arrested are from Colombo while the remaining two females are residents of Mirigama. The 5 arrested suspects are businessmen of the ages 20-35 and have been arriving from the United Arab Emirates. 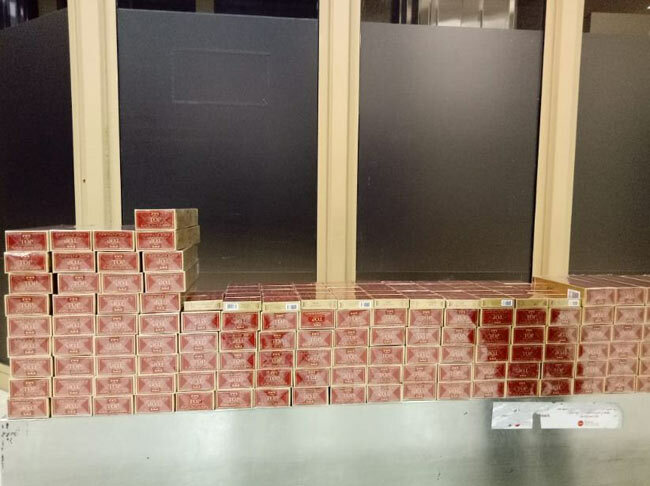 Customs officials have found 57,200 foreign cigarettes contained in 286 cartons and concealed within the luggage of the said businessmen. Reportedly, the worth of the seized cigarettes is estimated to be over Rs 3.1 million. Following a formal investigation against the suspects, the stock of cigarettes was declared forfeit and the suspects were released on a fine of Rs 150,000.